What is extras cover and why is it important in health insurance? Extras cover is a component of health insurance that covers you for out-of-hospital medical care. Also called ancillary cover or general treatment, it covers services Medicare doesn’t, like dental treatment, optometry, physiotherapy, and more. It is so greatly desired, that a recent IPSOS (experts in market research) survey found that a greater number of Australians have this type of insurance over private hospital cover. Taking out an extras policy is a great way to save on healthcare expenses that take a significant toll on your hip pocket each year. Perhaps you don’t want to pay for dental checkups yourself, or maybe you’re a runner who needs regular physiotherapy appointments. Most Aussies will find at least one feature in an extras policy that they would jump at the chance to utilise. Extras cover is great for people who only need specific services. Not only can you tailor your extras cover to your medical needs and budget, it can also be a much cheaper alternative to taking out full health insurance. You may want to consider extras cover if you are only chasing services such as ambulance cover (depending on the state you reside) or no-gap dental checkups. Weekly prices of extras cover can vary between a cup of your favourite coffee and a regular gym membership – it’s entirely up to you what you choose. Like any financial or insurance product, each policy comes with different features and limits. Let’s walk you through the basics. physiotherapy, occupational therapy, speech therapy, etc. Take it to the (extras) limit! All extras have a limit on how much you can claim per year (i.e. a certain percentage or dollar amount) for particular treatments. For example, you can claim a certain amount each year on eye glasses, but eventually you’ll reach a limit on how many pairs you can purchase. This limit will depend which extras policy you took out, and whether you’re on a singles, couples or family policy. Read your policy brochure to find out what the specific limits are, and make sure you claim as much as you can throughout the year to get the most value from your policy. You may be wondering what waiting periods you’ll have to sit for your extras. These periods are set by the health fund, unlike hospital benefits which are set by the government. This may sound like you’re at the mercy of the insurers, but this can actually work in your favour. 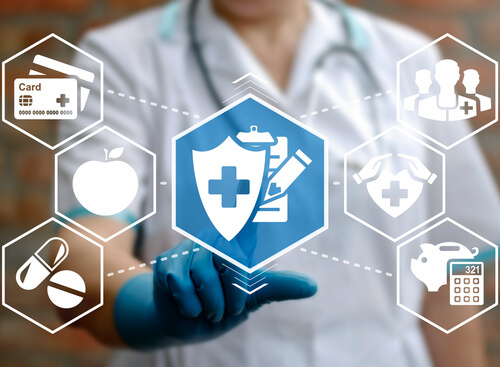 Health insurers are constantly working to win your business, and have been known to waive general treatment waiting periods at certain times throughout the year. Keep a close eye on the market to catch these deals! As mentioned, health insurers may waive certain waiting periods on extras as an incentive for you to join their fund. Aside from this, waivers usually only occur on hospital and extras combined policies. No waiting periods on extras cover all depends on what medical service or treatment you require. For example, some standard extras cover with no waiting periods may include routine dental, physiotherapy, chiropractic, and natural therapies. Many private health insurance providers offer extras cover where you can start claiming straight away on selected extras (given the level of extras cover you take out). Waiting periods differ between private health funds, but can always be found on the Product Disclosure Statement (PDS) of your chosen policy. Standard waiting periods are typically 12 months. Some insurers may hold promotions where extras cover waiting periods on combined hospital policies are waived, however this is uncommon. Extras policies that cover a large number of features with high limits will obviously command a higher premium. However, based on the number of claims you make on your policy every year, they can actually be very good value for money. The great thing about extras cover is, while it won’t exempt you from the Medicare Levy Surcharge, it is eligible for the health insurance rebate. With top level cover, you could get a significant amount of your premiums back through this rebate (up to 40%! ), depending on your age and income. Related Posts of "What is extras cover and why is it important in health insurance?"